Our Chunky Kiwi Preserve with the Asian herb Star Anise is made with exotic kiwi fruit sourced locally. The unique blend of delicious kiwi chunks with the lingering flavour of Star Anise is the first of its kind. A spoonful spread over a toast, biscuits, or a parantha are only a few ways to enjoy this preserve. Our Chunky Kiwi Preserve with the Asian herb Star Anise is made with exotic kiwi fruit sourced locally. The unique blend of delicious kiwi chunks with the lingering flavour of Star Anise is the first of its kind. 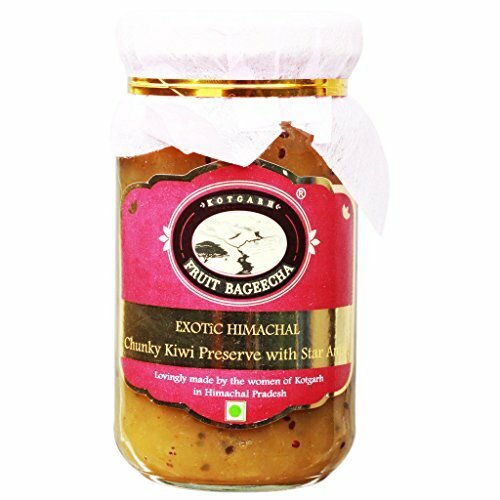 A spoonful spread over a toast, biscuits, or a parantha are only a few ways to enjoy this preserve.